Enjoy delightful cups of coffee and other drinks. 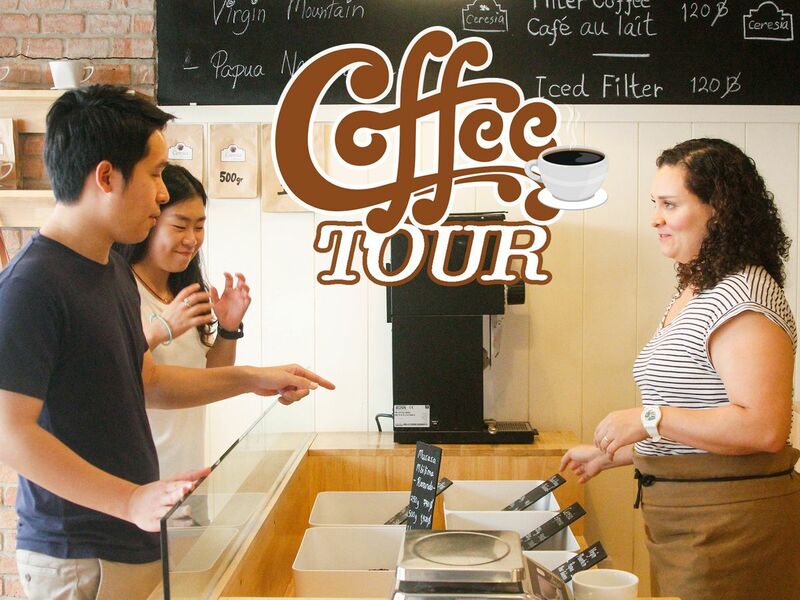 Meet the coffee roasters and fulfill your day with specialty coffee stories , uniqueness and a great knowledge of coffee culture in Bangkok. hopping along the Sukhumvit route Cafe and try signature drinks in each cafe. Total 5 unique location. End of the cafe hopping trip. My name is Nathan. I am a foodie and cafe hopper who really loves to share my coffee hopping experience to all of you. Let's enjoy a casual hopping trip in the most popular areas of Bangkok. we visited 5 coffee shops to taste and experience different types of beans from various origins. Natan was a gracious host and super knowledgeable of not only the coffee - but the shops, the locations, the owners, etc. we went off the beaten path to try cool, eclectic spots where the baristas and owners take great pride in crafting lovely coffee cocktails. I will recommend this tour to anyone I know coming to Bangkok and appreciates a great cup of coffee! Amazing tour!! Very knowledgeable and friendly! We loved every minute! !